I had a plan for Christmas. It involved boxes of cookies and treats, delivered to neighbors and shipped off to friends. The family room walls, recently painted, would no longer be bare. The pets would all have their own stockings, filled with treats, and their stockings would match. In short, I would create a very photogenic Christmas. We did get the bare minimum done: a tree was acquired from the one tree stand I could find that would tie the tree to the top of my car for me. It took about a week to decorate the tree, which was mostly The Child’s doing, although I can take credit for festooning it with lights, not once but twice, and in the process, learning a Christmas lesson about plugging strings of lights in before putting them on the tree. The Child set up the Christmas Village, which looked festive even after the cat Godzillaed through it, sending miniature trees and New England skaters to their near-deaths on the family room carpet; thankfully, New Englanders are a hardy bunch. I finally replaced the photo frame stocking hangers I bought with The Departed for our first Christmas together, with a vow to update the photos each year as the kids got older, but somehow never did. The Child rescued the photos of now-departed pets from them as I set out new stocking holders that spell out PEACE: a timeless message, one that requires no annual update. I never quite got to the matching pet Christmas stockings and boxes of treats. I did binge-listen to the Serial podcast and make possibly the best cranberry sauce I’ve ever made, so it was holiday time spent well, if slightly less than traditionally. For Christmas Day itself, I planned carefully, getting everything ready and wrapped beforehand. I’d get up before The Child and bake a New England Spider Cake, the scent of which would rouse her from her bed; we’d open gifts together by the twinkle of the tree. I did get up before her; the Red Dog woke me up several times during the night. Christmas began with a nice hot cup of coffee waiting patiently on the counter while I discovered why he was so agitated all night. The noise of the carpet cleaner roused The Child. We did open gifts to a twinkling tree, but Christmas breakfast consisted of bacon and eggs. Neither of us had the patience or energy to make – and wait for – Spider Cake. There were treats around anyway, of course. The Child arranged some Sour Gummy Stars for my stocking, and Santa made sure her favorite chocolates found their way into her stocking. And a few days before Christmas, I made fudge. I think I meant to put it into gift boxes. I’ve never made fudge of any sort before, and to be honest, I’ve never really been a fan, having been subjected too often to fudge that tastes of gritty chocolate or is overly sweet or comes in pieces that are much too large, like those big slabs you order by the quarter-pound on some stores. But I ran across this recipe a while ago on Bon Appetit and saved it, because it struck me that a bit of buttermilk tang might be the antidote to the ills of inferior fudge. It was, and then some. 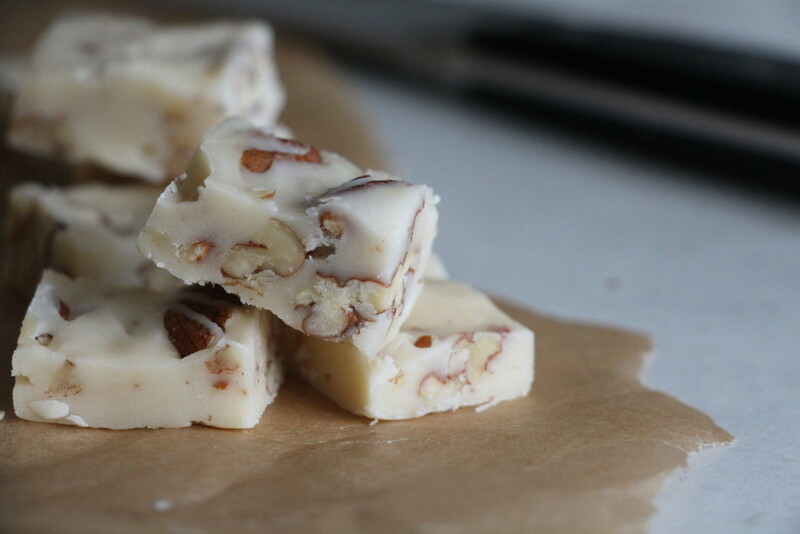 The recipe produced a delicious, slightly tart, delightfully nutty fudge. I used a pan a bit larger than the one called for in the recipe, which produced a thinner fudge that I cut into approximate one-inch squares – a perfect little sweet treat. Just a bite, or maybe two, because that’s all you need when you’re perfectly satisfied. Preheat oven to 350°. Line a 9x9” pan with parchment paper. Toast pecans on a rimmed baking sheet, until fragrant and slightly darkened in color, 8–10 minutes. Let cool, then coarsely chop. Heat sugar, buttermilk, butter, honey, and salt in a medium saucepan over medium-high heat, stirring occasionally, until butter and sugar are melted, about 3 minutes. Fit saucepan with thermometer, bring mixture to a simmer and cook, stirring occasionally, until thermometer registers 238° (mixture will be pale golden), 6–8 minutes. Pour the mixture into the bowl of a stand mixer, and beat with the paddle attachment on medium speed until cool and thickened, 8-10 minutes. It will be stiff and matte. Fold in the pecans. Scrape fudge into the prepared pan and smooth it. Let sit at least an hour, then cut into one-inch squares. The original recipe uses a 9x5 inch loaf pan, which would result in thicker pieces. Things shift and change, sometimes in extremes – and when it happens, we often seek comfort in old familiar things and routines. It’s easy to get into a rut when this happens; it feels so safe, a defense against whatever unpleasant surprises the world may have in store for us. But then, things change again, and we realize life has gotten a little bit bland. So it was this past week at my house. I have mentioned idly to The Child that I “will get to” redecorating our family room. It’s the room we spend the most time in, containing the television and gas fireplace, but also adjacent to the kitchen. It’s a pleasant room that remains – like most of the house – painted the same dull shade of white that the builders sprayed on the wall when they built this place 15 years ago. The biggest problem in the room is the television: Where it is located, it is almost impossible to see well from any spot except one. The TV is housed in a large wall unit, carefully selected by me and The Departed and purchased after several arguments, much measuring, and at least three trips to the now-defunct Costco Home. I think it’s the problem, I say to my father’s wife shortly after The Departure. The wall unit. If I had a smaller one, the TV could be somewhere else. Don’t get rid of it, she says. It looks built in. So I leave it. And forget about it. And focus my attention on other things – the problems I can see the solutions too more easily. But every so often, I run across something that I’d like to do in the family room – most recently, I found some pretty curtains I’d love to put in there. And then I just stop and freeze up. If I hang the curtains, I have to take the old things off the window and if I do that I should paint while they’re off and that means moving the wall unit to get at the walls and once I’ve done that I should rearrange the room and … it all stops. Until the other night. I wasn’t feeling well and went to bed early. Don’t stay up late, I told her. When I came downstairs the next day, it was into a different room. The wall unit and TV were still in their usual spaces, but everything else in the room had been moved as though the TV were somewhere else. I feel like Marty McFly: it all seems familiar, but yet completely different. When I’ve recovered from the surprise and The Child wakes up, we chat about the pros and cons of the new arrangement. It’s good, but we encounter some technical problems, so we move the furniture again, and then again. We agree that even if we don’t get it exactly right, once we get rid of the wall unit, we can keep nudging the rest of the room until we get it just how we like it. We love this plan, and set off to buy paint chips and pizza, and agree that by the end of the weekend, there will be a wall unit in the garage. I felt kind of the same way when I ran across a new banana bread recipe in an amazing southern cookbook I found at the library, Screen Doors and Sweet Tea . It is filled with wonderful, easy to follow regional recipes, introduced with stories that put each in its proper context: fried okra eaten like popcorn at a blues joint. It’s a gorgeous book, so I had to try something from it. But could I really ever love another banana bread as much as Fannie Farmer’s? The answer is, Yes. Unreservedly. This bread is light and spicy in a way banana bread usually isn’t, and it doesn’t sacrifice the moist texture to do it. It has more ingredients than Fannie Farmer’s, but isn’t really more work. I opted to do the recipe as muffins, mostly because they’re easier to toss into a school lunchbox. The Child loved this bread, and when I inquired which was her favorite banana bread, she said this one was much, much better than my usual. I feel a little bad about it, since I’ve always been so loyal to Fannie Farmer: She’s an old friend. But in the end, I think both recipes probably have a place in my collection. Note that I did not have buttermilk handy, so I substituted a the lemon juice/milk mixture described in the notes. Don’t substitute regular milk: buttermilk has acidic qualities that, when combined with baking soda and heated, result in extra bubbles that lighten the final baked product. It is key to this recipe. Preheat oven to 350°. 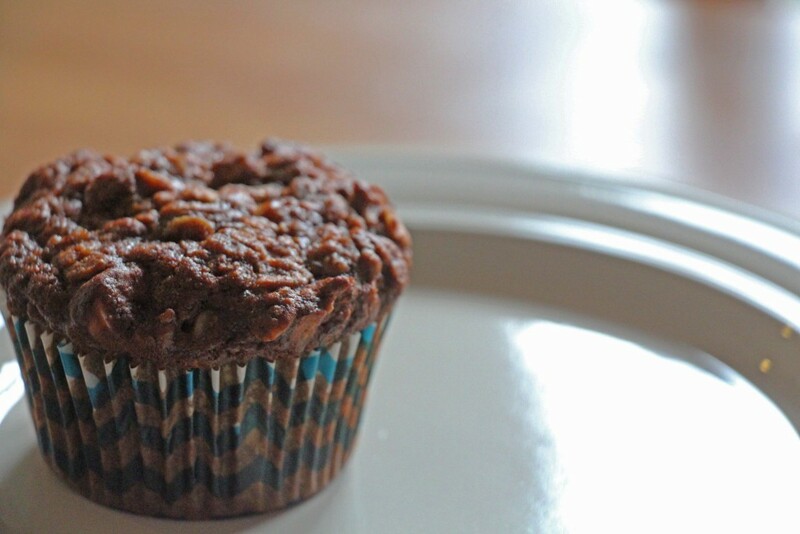 Line a 12-cup muffin pan with paper muffin cups. 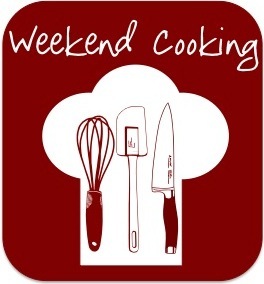 In a medium bowl, combine flour, baking powder, baking soda, cinnamon, salt, nutmeg, and cloves. In a separate bowl, mash bananas and combine with buttermilk, vanilla, and lemon zest. Using a stand mixer, beat melted butter and sugars together for 5 minutes. Add half the flour mixture, followed by half the banana mixture, mixing until just combined. Repeat. Add pecan pieces if using. Spoon the batter into the muffin cups. Bake for 25-30 minutes, until golden brown on top and a toothpick comes out clean. If you don't have buttermilk handy, you can substitute as follows: put ¾ tsp of lemon juice into a measuring cup; fill to the ¼ measure with milk. Let stand 2 minutes. This will give your milk the acidic qualities you are looking for with buttermilk and save you a trip to the store. If you prefer to make this as a loaf of banana bread, use a loaf pan and bake for 1 hour and 10 minutes.